October 27, 2017, 4:00 p.m.
On the occasion of the World Day for Audiovisual Heritage, the Vera and Donald Blinken Open Society Archives (OSA) is organizing an event including a presentation on archiving films and a film screening, with a focus on the history and processing of a collection of Soviet films held in Budapest. After the House of Soviet Science and Culture was closed down following the regime change, 110 Soviet films were abandoned, most of which were dubbed into Hungarian and later saved by film historian Anna Geréb. Blinken OSA has digitized and processed the collection and made the films accessible online. 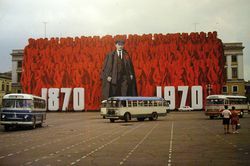 The majority of these films were produced in the 1970s and 1980s, and they echo the Soviet propaganda on history and science, portraying the Soviet Union and the existing socialist regime as the best of all possible worlds, a sort of Paradise on Earth. Using the visual language of avant-garde and new wave cinema, these films apply the most modern montage technique of the era, panning, and hand-held camerawork, lending the image monumentality, or intimacy and credibility. What did a Soviet film maker, one who was good at his job, see in the Brezhnev era, and how did he look at what he saw? What did he decide not to show in his films? At the film screening and archiving presentation When Gagarin Was Still at School. The Mesmerizing World of Soviet Film Propaganda audiovisual archivist Zsuzsa Zádori and film historian Oksana Sarkisova from Blinken OSA will present a film collection so far known only to the specialist professional community. How did the damaged 16mm celluloid films make up an online digital collection? Who were these talented filmmakers, ready to serve the ends of political propaganda, and why are their films still entertaining today? Who went to watch Soviet films, especially propaganda ones, of their own free will at a time when the cinema which screened Soviet films in Budapest (“Gorky Cinema”) could not attract any audiences; when theatres in Budapest, Kaposvár and Szolnok were staging pieces about resistance; when pop and rock bands and performers like Illés, Omega, Piramis, Tamás Cseh, Kex, Syrius, and Beatrice called for rebellion, personal and societal freedom, gathering crowds at their concerts; when films by Godard, Antonioni, and Ridley Scott were on show throughout the country? What was the House of Soviet Science and Culture like? What was the atmosphere at these film screenings, what was available at the café there at the time? Film historian, Slavist and creator and savior of this film collection, Anna Geréb will be the guest of the event. After the destruction of Soviet cities by the Nazi army in WWII, industry and trade “rose like a phoenix from the ashes. The era of peace and wellbeing came”. 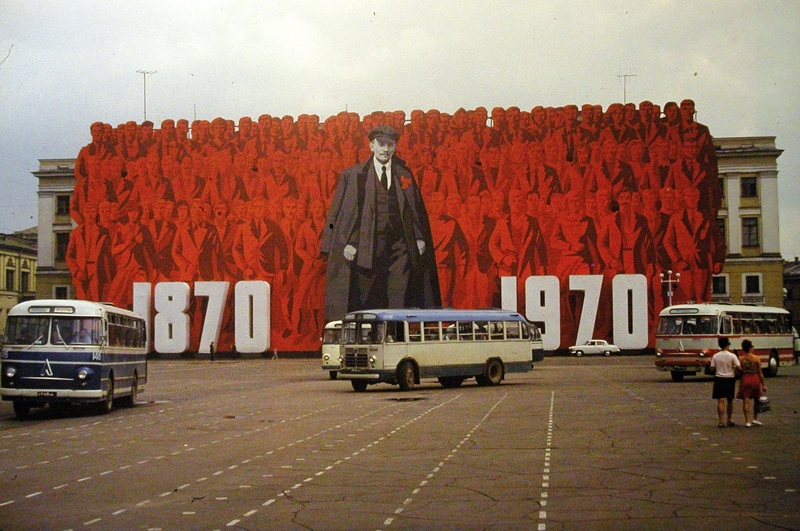 Instead of the Soviet reality, the film shows a dream world and the myth of grandeur. We will not find in these films any signs of the Stalinist terror, the stagnation of the Brezhnev regime, the poverty, the crowded, shared tenements, the all-Soviet alcoholism and the forced labor camps. This film presents “the peaceful and harmonious world of everyday Soviet life”. In these frames agriculture and industry thrive, sports and arts flourish. The glorious Soviet Union supports both individual and communal development and encourages love. This event is also the launch of Blinken OSA’s video collection campaign. Our goal is to collect, preserve, digitize and make accessible for research amateur films, videos and sound recordings from the Cold War and the Socialist period. Our purpose is to save these reels of film and video and audio tapes from oblivion and to bring them together in a collection open to all to research. With this event Blinken OSA would like to emphasize the importance of creating and implementing strict professional rules for archiving and preservation, and to stress the fact that not sharing and making these materials accessible would leave us halfway down the road. By making this collection of Soviet propaganda films available online, OSA calls on all producers of publicly funded films, videos and sound recordings to share these products and to make them available for research free of charge. At the event the 16 mm celluloid rolls will be on display to touch by hand; gloves will be provided by Blinken OSA. VENUE Vera and Donald Blinken Open Society Archives, 1051 Budapest, Arany János u. 32. SEATS WILL BE AVAILABLE FROM 3:50 P.M. ON A FIRST-COME FIRST-SERVED BASIS. THE PROGRAM IS FREE OF CHARGE, EVERYONE IS WELCOME! THE EVENT IS IN HUNGARIAN.